Mopar factory reversible rear cargo mat for the 2012-2018 2-Door Wranglers. 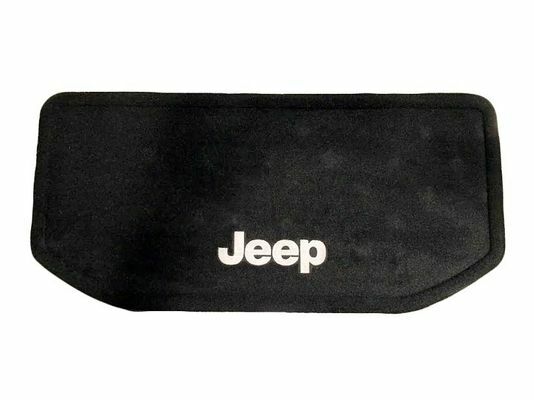 One side is carpeted with a stitched Jeep logo and the other side is rubber with embossed diamond plating and Jeep Logo. The cargo mat measures roughly 30" x 14". We have a subwoofer and still wanted to utilize storage yet protect it! It does not impede the function of the SW... Love the ability to slide my beach gear in and have it in place to protect from any beach sand I bring back!